Photographers often create personal projects, which can be a single photograph or an entire series taken over several years. While is it awesome to work for great clients, the photographer is taking photographs of things their client wants. With a personal project, on the other hand, the photographer takes photographs of subjects they want, subjects that truly interest them without any thought of whether or not someone will ever buy them. This is photography for the fun of it. If the photographer is lucky, someone will get inspired by one the photographer's personal projects and hire them for a project based on that. I have done lots of personal projects. Here are my favorites. There are few sights as captivating as those of a horse and rider galloping through the surf on an ocean beach. During the Long Beach Rodeo weekend I met up with a few cowboys and cowgirls at the beach and got these shots. I have been a big fan of American artist Andrew Wyeth for years. He is most famous for his 1948 painting, Christina's World, which is an icon of American art. The painting depicts one of Andrew Wyeth's neighbors, Christina Olson, crawling across a field in the family's farm in Cushing, Maine. I thought it would be interesting to create a similar photograph with a real person. The result is Jessi's World. Click on the photo to see the story. This personal project was my attempt to highlight the seven most amazing natural wonders of Washington State. During my road trips over the years I have seen and experienced the best of what our state has to offer, so I thought it would be good to raise awareness of these natural wonders so that other people could experience them too. 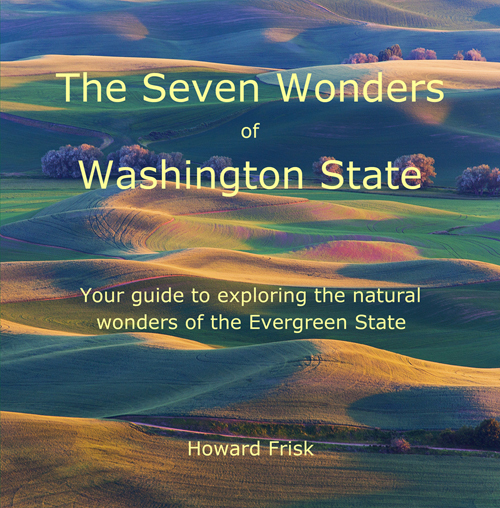 The result is the book, The Seven Wonders of Washington State, currently available on Amazon.com. 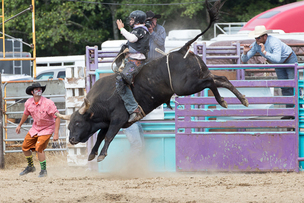 Rodeos are one of America's most enjoyed cultural traditions. Rodeos are full of excitement, speed, danger, cheering fans, cowboys and cowgirls, country music, great food, rodeo queens and princesses, tradition, beautiful horses, and my favorite: outstanding subjects for great photographs. Since I and most of the people I know live in the city, I made it a personal project to capture the most thrilling images I could and share it with those who have never experienced a rodeo in person.